London’s Docklands lie to the east of the City of London and are mostly north of the River Thames. They stretch from Tower Bridge to Woolwich and are the legacy of the trading power of the British Empire. The docks went into decline after the Second World War, but in the 1980s the regeneration of the area started. Over the past 30 years, the population of the Docklands has more than doubled, transport links have significantly improved and the area has become both a booming financial district and an increasingly popular area to live. Whilst cobbled lanes still criss-cross in Wapping, and the historic Tower of London stands proud further upstream, Canary Wharf stands as a contemporary symbol of the district’s current trading power. 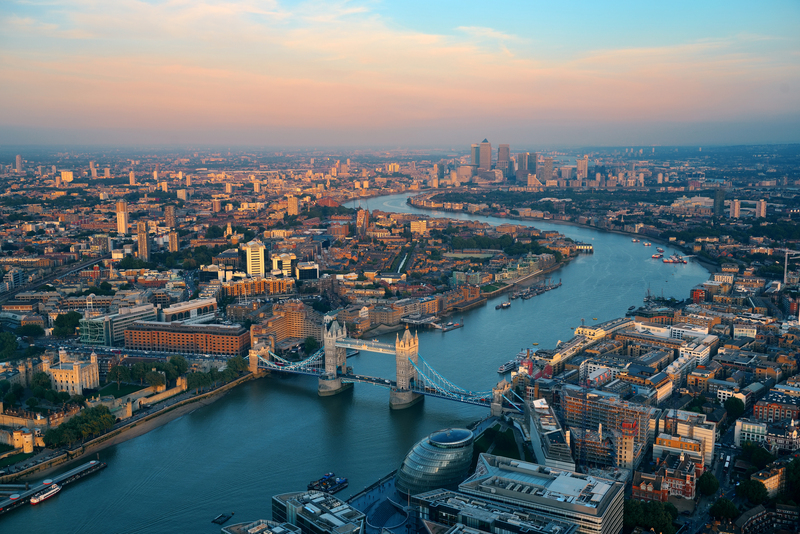 Much of London’s success in history has revolved around the Thames and the city’s access to water. However, it wasn’t until the 17th century, that Londoners started to seriously use the water access of the East End. In the 1690s, a dock was built at Rotherhithe; this location worked so well that further docks were built close by, including West India Dock and St Katherine Dock. The docks attracted workers from all over making the East End a densely populated area. Although the businesses at the docks helped promote London’s commercial businesses, this was not a wealthy area and it suffered from problems with poverty and crime. During the Second World War, the docks made the East End a prime target for German bombing raids. There was some rebuilding work after the war and the docks continued to operate. But, by the 1970s, the city’s docks were not big enough to deal with container ships and much of London’s industry moved out to ports with deeper water access. Opportunities for shopping in Canary Wharf, after business and finance, the district is best known for its impressive four shopping centres. Luxurious brands such as Tiffany Co., Jo Malone, Jaeger London and Montblanc sit side by side with high street names such as Topshop, Reiss, Whistles and Zara. Of the four malls, Canada Place alone houses the flagship Waitrose Food Home store, ‘Plateau Restaurant, Bar Grill’ offering fine dining and incredible views and a Reebok Sports Club – the largest health club in Europe.